Portrait of Richard Hawley Tucker, 1879. 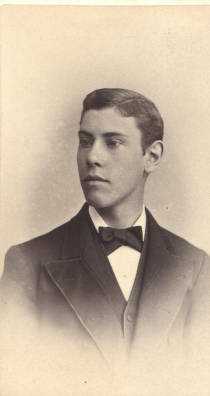 Maine-born Richard H. Tucker was a member of the class of 1879. Tucker majored in chemical engineering, but thanks to the encouragement of Professor of Mathematics and Astronomy Charles L. Doolittle, decided to pursue a career in astronomy. After graduating from Lehigh, Tucker worked at the Dudley Observatory in Albany, New York. He eventually moved on to the Lick Observatory in California, where he spent the remainder of his career.